Color Sign Square 6" x 6"
Engraved Sign Vertical 4" x 3"
Get the 8" x 8" Whichever Restroom Sign to mark your unisex restrooms. Perfect for single restroom locations. 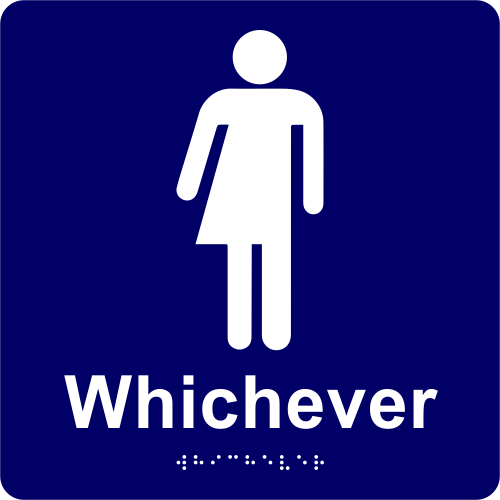 Provide patrons with gender neutral sign which includes unique pictogram. This sign is ADA compliant with raised letters and braille to keep your building in compliance.